Love triangles tend to be very hit or miss among fans. 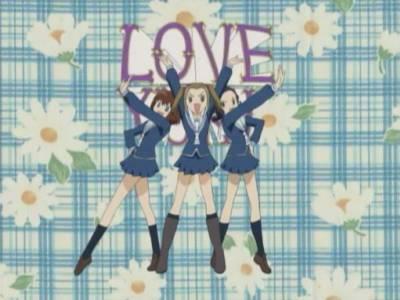 While some fans consider love triangles to be a fun way to heighten drama, other people see love triangles as predictably clichéd. Many fans, including myself, often find themselves on both sides of the argument: when a love triangle is done right it can captivate the audience, yet oftentimes it is obvious who is going to end up with each other right from the beginning. Simpleek wrote a post discussing the appeal of love triangles in manga, and I’ve written before about the love triangles in anime and manga that most stand out to me. And while I’ve come to accept the presence of love triangles, there is one type of triangle I absloutely cannot stand: when a character is introduced as a love rival after the main couple has already gotten together. This type of triangle pops up because once the main couple has finally confessed their love to one another and has gotten together, the author faces a dilemma. You can almost hear the author saying ‘Oh noes, I’m running out of plot! What’ll I do? !…Wait…I can create a new love interest! This way, the couple can break up over some stupid misunderstanding and the heroine can sulk around and find comfort in the arms of her rival. That’ll buy me a few chapters!’ There are multiple reasons I can’t stand this cliché. First of all, it is extremely common. The first series that comes to mind is Love*Com, which introduces Mimi right after Risa and Otani became an official couple in volume eight. Mimi can’t stand that Otani has fallen for someone taller than him because she also is taller than him and didn’t think she had a chance. Even though Mimi is a somewhat sympathetic character and I really like Love*Com, I didn’t feel as though her introduction into the story was necessary. Another example of a rival love interest showing up after the main couple had already gotten together occurs in The Devil Does Exist. The ‘love triangle’ in this series made no sense at all because Rumi’s reasons for liking Takeru were unclear, and more importantly she wasn’t even his type, so she wasn’t even a threat to Kayano and her relationship with Takeru. Rival love interests often pop up in Absolute Boyfriend, and they usually have ulterior motives. After Riiko and her robot boyfriend Night announce themselves as a couple at school, Mika tries to seduce Night because she’s only interested in other women’s guys. Later, a rival robot appears to try and win Riiko’s heart so he can replace Night. Overall, I find it to be much too contrived that a love rival will always show up just as the main characters have happily gotten together. This cliché is also stupid because we know that the rival has no chance and the main couple will stay (or get back) together, which is most obviously shown in Marmalade Boy. 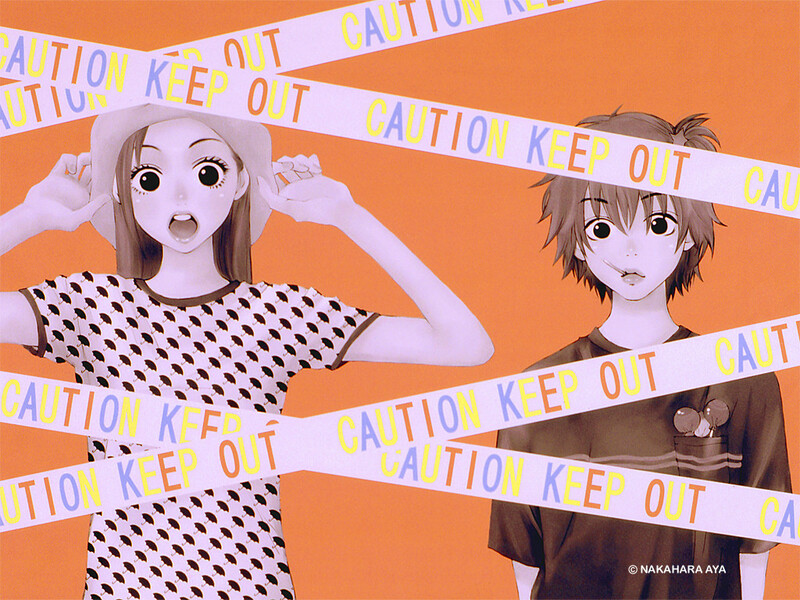 When Kei Tsuchiya is introduced, he immediately interferes in Miki and Yuu’s relationship to win Miki’s heart. The couple fight and break up thanks to Kei’s presence, yet when Kei tries to make his move on Miki she’s not interested in him at all. It doesn’t take long for Miki and Yuu make up, and everything returns to normal. What bothers me most is that this plot was played for angst even though it was useless and trite. All I could think when I was watching the series was ‘Uh, hello, it’s called ‘Marmalade Boy!’ She’s obviously gonna end up with the ‘marmalade boy!’ So even though I love Marmalade Boy, I’m not a huge fan of this particular storythread and I wished the author would have just skipped it. However, even though I generally can’t stand the late introduction of shallow love interests who are often uninteresting and barely fleshed-out, it can be done right. When Keita Kamogari shows up in volume eight of DMP’s release of Itazura na Kiss, he is training to become a nurse alongside Kotoko. Kotoko has trouble finding her footing with the medical field (which causes Keita a lot of pain, since he is the person she practices giving needles to), and when her genius doctor-in-training husband Naoki coldly tells her there’s no way she can be a nurse, Keita is bothered by how unsupportive he is. When all three go to a party with the other medical students, Keita calls Naoki out on spending his time socializing instead of with Kotoko, and yells at him for “not being to fond of his wife.” Naoki soon realizes that Keita is in love with Kotoko, and when he and Kotoko get into an argument, Keita confesses his feelings to her. Naoki soon begins ignoring Kotoko, and when he declines after she asks him to celebrate their second wedding anniversary, Kotoko finally snaps. She begins throwing books at him and saying their marriage doesn’t feel like a real one, and she tells him she doesn’t feel like he ever loved her. Kotoko decides to spend the night at a friend’s house, and the next day when Keita finds out about their fight he asks if she wants to move in with him because Naoki acts as though he doesn’t love or need her. Naoki rushes in to tell Kotoko that she’s completely wrong – he was jealous of Keita, which was a first for him and he didn’t know how to react. He tells Kotoko that he needs her more than anyone and he can only be himself around her, and the two make up. While the reasons behind Keita’s feelings for Kotoko are a bit underdeveloped, unlike so many other rival love interests Keita actually serves a purpose beyond creating unnecessary drama. Kotoko admits that deep down she was always insecure about why Naoki loved her, and she always felt she loved him more than he loves her. Keita may not be fully fleshed out as a character, but he works very effectively as a plot device. When Naoki and Kotoko first got married in volume six of the manga, I had problems with them getting together because for so long, Naoki denied his feelings for Kotoko. The two were married only two weeks after he proposed to her, and I still felt that their relationship was too imbalanced. Bringing Keita into the mix helped not only air out these problems, but also brought them to a resolution. The stakes of having a rival love interest in Itazura na Kiss are also higher than in most other series because by the time Keita shows up Kotoko and Naoki were already married, which made the possiblity of their break-up much more sad than frustrating. In all, rival love interests often bring empty tension to a series – but when used right they can provide insight into the main couple and make their bond seem not only more realistic, but stronger. So I’ll be reviewing the first half of The Devil Does Exist, a shojo manga by Mitsuba Takanashi of Crimson Hero fame. And I have to say, I liked Crimson Hero better. The characters in that series stand out much more, and the manga is more engrossing. The Devil Does Exist (also known as Akuma de Sorou in Japan) starts off when the lead female Kayano gets involved with Takeru Edogawa a.k.a “The Prince of Attraction” after accidentally giving him a love letter that she meant for someone else. He blackmails her into doing things for him and sitting through his classes, for which she slaps him and he becomes attracted to her. Coincidentally, it turns out Kayano’s mother is getting remarried…to Takeru’s father! Thus, Kayano is forced to contend with Takeru’s not-so-brotherly feelings for his new sister. The Devil Does Exist contains all of the usual shojo clichés – the disastrous love-letter confession, the stolen first kiss, the fan club that’s enamored with the main male love interest. But after awhile I began to feel as though the author was throwing in shojo clichés for the sake of having shojo clichés. This is especially evident in volume five when Takeru’s grandmother puts pressure on his father for Takeru to go through with an arranged marriage. This makes sense in political dramas like Goong or The Story of Saiunkoku, or even in series where the male love interest is from a prominent rich family like Tsukasa from Boys Over Flowers, but Takeru’s father is just a high-school principal, so I found the grandmother’s rush to get Takeru hitched really pointless. This is especially true because the meek, sheltered girl he’s engaged to, Rumi Saionji, after meeting Takeru once and realizing he isn’t the kind young man his grandmother described him to be, falls in love with him. Oookay. But I think the biggest problem I had with this series is that Kayano sees her feelings for (and later, relationship with) Takeru as a ‘sin.’ My problem with Kayano’s guilt is probably due to my familiarity with Marmalade Boy, which is a much better series that also features stepsiblings who fall in love with one another. 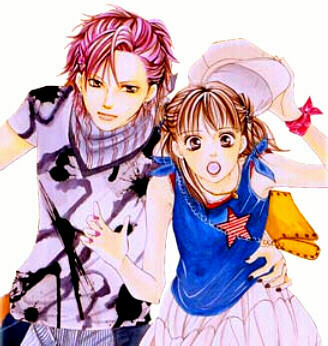 While in Marmalade Boy Miki and Yuu keep their relationship a secret from their parents much like Kayano and Takeru do, the fact that they are stepsiblings who are in love is treated as sort of a joke (at least until the end of the series). But in The Devil Does Exist, Kayano’s guilt over falling in love with her stepbrother is treated as the main dilemma of the manga, and this simply doesn’t work for me because I don’t feel as though it’s a strong enough conflict to carry a series. While Kayano fears the consequences of anyone finding out about her and Takeru, the series hasn’t convinced me that if their relationship were found out it would be the end of the world. Although at one point in volume three Kayano says that to a man of such social standing as Takeru’s father any scandal “would be a fate worse than death,” so far Takeru’s father has been extremely laid-back and affectionate towards his son, so I can’t imagine him getting that upset over Takeru’s choice of love interest. Besides, it’s not as though Takeru and Kayano are actually related by blood – because then their love really would be a sin! Probably the most unique element of The Devil Does Exist is Takeru's sense of fashion. Seems like it's rubbing off on Kayano as well. Unfortunately, CMX’s English translation of the series has done nothing to earn points for The Devil Does Exist in my book. I don’t think I’ve ever encountered a translation that’s distracted me as much as in this series. The lines that are the most noticeably awkward are Yuzuru’s, an effeminate “stalker” who wants revenge against Takeru and is later revealed to be his brother. It’s obvious Yuzuru is supposed to be speaking strangely, but lines like “You wish to cultivate Yuzu as an enemy” and “I shall continue to await the collapse of your happiness!” are pretty difficult to stomach. There are also some weird word choices – Kayano’s monologues often include the word “incorrigible,” which doesn’t seem very casual and could easily have been replaced with “hopeless” or even “unforgivable.” I know it’s sort of a minor flaw, but the abundance of cumbersome dialogue really hurt my opinion of the manga. That being said, there are some shining moments in this series – particularly several early scenes between Takeru and Kayano as they realize their mutual feelings for each other – I just wish there were more of them. And as far as characters go, I find Takeru to be pretty intriguing because he knows how to push people’s buttons without pushing them away (or as Kayano puts it, he becomes a “devil” in order to help others). Even though I don’t dislike The Devil Does Exist, I really don’t know if I plan to continue this manga, but considering I already have volume 11 (the last volume) and managed to find volumes nine and ten for a dollar a piece, I may as well. Who knows, maybe the second half will be better. But I won’t hold my breath. I consider myself to be pretty tolerant of shojo clichés. The accidental first kiss, love-letter disasters, tender moments at the school’s infirmary – these things don’t bother me so much, and some still manage to make me squee if they’re done right. But there is one cliché I cannot stand: the fan club. So many shojo manga feature a group of girls who are so gaga over the hottest, most popular guy in school that they decide to start a fan club dedicated to him. Now, while other anime have crazy clubs (Haruhi Suzumiya has a club devoted to finding aliens; Ouran High School Host Club has…well, a host club), I’m pretty sure in real life, most Japanese schools wouldn’t allow such a ridiculous organization to their roster. The very first time I noticed a fan club in an anime or manga was the ‘Prince Yuki’ fan club in Fruits Basket, and well…let’s just say I skipped those scenes. Realistically, there’s rarely such a thing as a ‘most popular guy in school,’ but if you touch him, you’re dead. Often, the main female character gets bullied for any interaction she has with the walking god that is her love interest. Aside from how stupid this cliché is, what bothers me most about it is that in real life, most girls would be trying to date the most popular guy instead of worshipping him from afar. There are some manga that use the fan club cliché in unique ways. For example, in The Devil Does Exist, Kayano’s rival Rika secretly pays Takeru’s groupies to bully her so Takeru will come to her rescue. This also serves as a catalyst for examining Rika’s self-esteem issues, although I’m still not crazy about the presence of a fan club in the story. Probably my favorite use of the fan club cliché was in Love*Com because it was so tongue-in-cheek about it. When Risa joined the fan club for her teacher called ‘The Mighty Girls’ in volume six, she and a group of other girls go to the extreme of chanting a “Hymn to the Lord Mighty the Great” whenever he’s around. I actually found the use of the fan club to be pretty funny because as soon as she joined it, Risa seemed brainwashed and became increasingly zombie-like, causing her best friends to beg her to quit. Not only that, but it was also refreshing to see the fan club devoted to someone who wasn’t a love interest for the main character (although Otani does become jealous at the shift in Risa’s attentions). But overall, I think manga-ka should leave the pretty-boy worshipping to real life fangirls. After all, there’s plenty of them.